Did you know that over 75% of dental decay occurs in the deep grooves and pits that cover the chewing surfaces of back teeth? These areas are notoriously difficult to keep clean, especially for younger patients who are still learning how to brush and floss effectively. Thankfully, Roselle Park Dental & Implants can provide an extra layer of protection in the form of dental sealants. If you or your child is ready for an appointment, don’t hesitate to contact us in Roselle Park, NJ today! Our doctors and team members look forward to meeting you. These simple, plastic coatings are designed to attach over the chewing surfaces of back teeth, effectively sealing them shut and creating a smooth surface that’s much easier to clean and far less susceptible to bacterial accumulation. The application process only takes a single appointment, and it’s virtually painless. Our doctors regularly recommend sealants to both children and adults who could benefit from the valuable protection they provide. 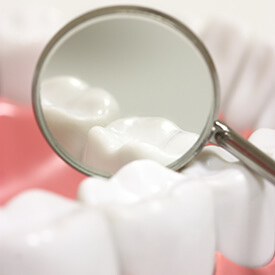 They should last for multiple years with the help of regular checkups and proper at-home oral hygiene.